This beautiful Ranger (?) 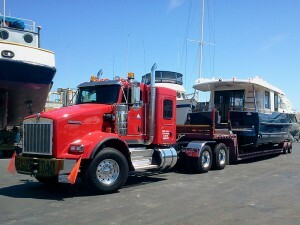 Tug trawler was off to her new home, on the back of a San Diego Boat Movers rig. She arrived just as shiny and clean as if she’d been trucked by her owners. Because that’s how we feel about each boat at SDBM.